San Antonio Pets Alive! is asking the public for help in covering medical expenses for a severely neglected dog the rescue group saved from euthanasia. Dante the dog was picked up by Animal Care Services after he was found wandering in a field. 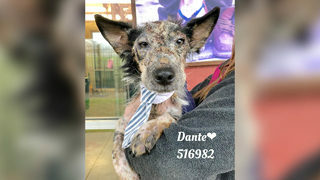 Because Dante suffers from a severe case of demodex mange, the dog was placed on ACS' pre-euthanasia list, but was subsequently rescued by SAPA!. Officials with SAPA! called Dante's mange "the most severe case of demodex mange (their) staff has seen." In addition to the mange, Dante also has an upper respiratory infection that requires immediate treatment as it may develop into pneumonia, bronchitis or chronic cough. According to SAPA! the treatments and specialized care Dante will need will be costly. 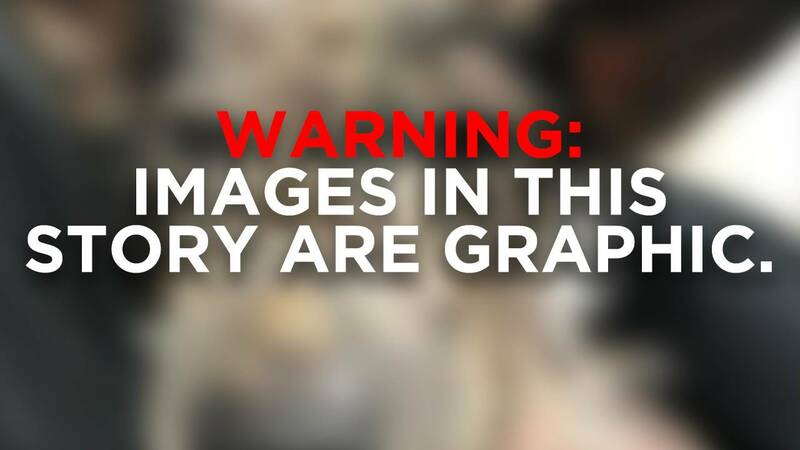 Because of this, the group is asking for help covering the dog's medical expenses. A veterinarian for SAPA! believes Dante has a good chance of survival and hair re-growth from where his skin is covered in scabs. Those interested in donating to Dante's medical expenses and the expenses of other animals under the care of SAPA! can do so on the group's website.